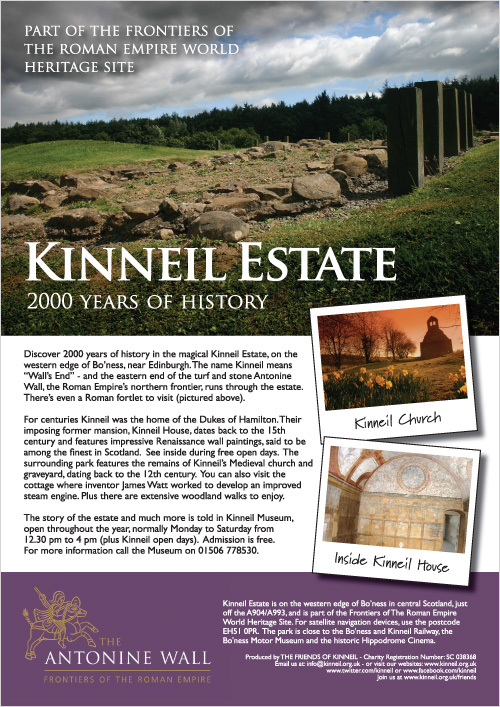 VISIT KINNEIL HOUSE & MUSEUM: See inside Kinneil House on April 27. 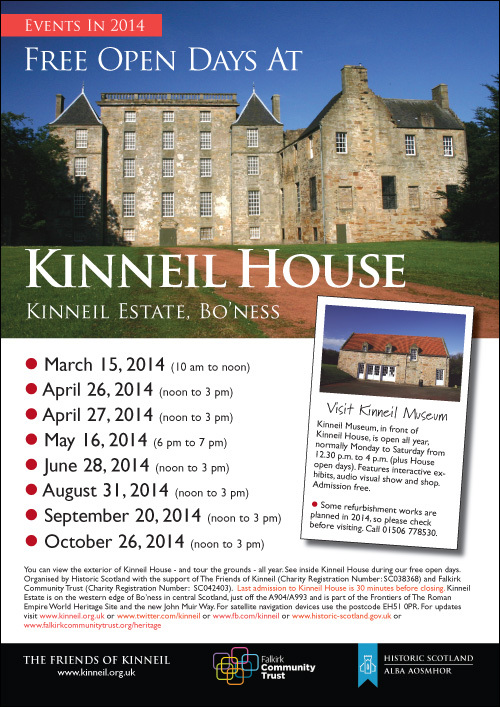 Neighbouring Kinneil Museum is open throughout the year, providing information on the House and wider Estate. Admission to both House and Museum are free of charge. GO WILD ABOUT KINNEIL: Kinneil is home to lots of wildlife, from ducks and swans to badgers and deer. There’s 200 acres of estate to explore. There’s also the neighbouring Kinneil Nature Reserve (Foreshore) to visit. EXPLORE.Visit the 200 acres that make up Kinneil Estate. Join in a regular health walk, or go on a self-guided tour of its historic sites. You’ll find lots to do. For details on getting here, and parking, visit our map page. Kinneil Estate and Nature Reserve is part of the new John Muir Way, a new long-distance walking route across central Scotland. See www.johnmuirway.org for details. Click here to access. Now optimised for use on iPads. Give us a few details and join our email list to keep up-to-date. You can also get updates via Twitter and Facebook (remember to “like” our page! on Facebook). WORLD HERITAGE: Kinneil Estate includes remnants of the Antonine Wall. The historic frontier was named as an extension to the Frontier of the Roman Empire World Heritage Site in 2008 by UNESCO. Hadrian’s Wall in England is also part of this trans-national World Heritage Site. Some icons – Social Network Icon Pack by Komodo Media; licensed under a Creative Commons Attribution-Share Alike 3.0 Unported License. Based on a work at www.komodomedia.com. 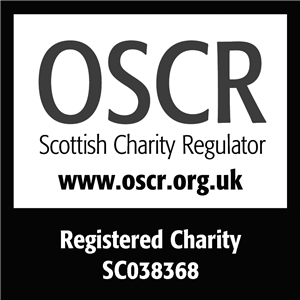 This website has been developed with the support of THE PR STORE, Bo’ness. Content and some graphics courtesy/copyright of The PR Store. All rights reserved.